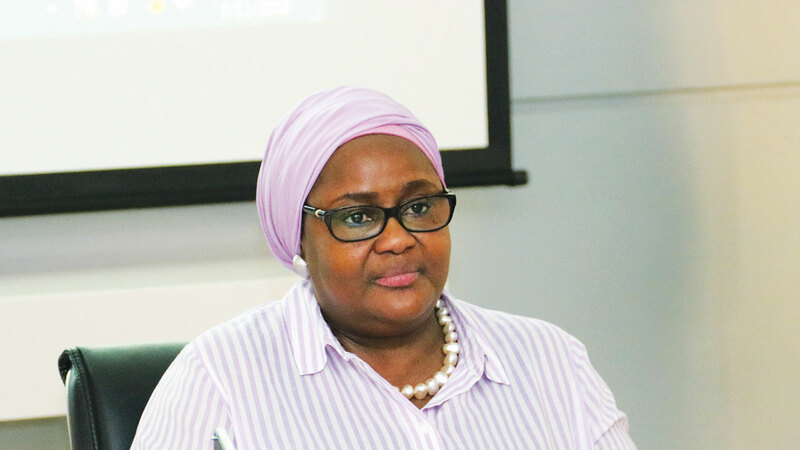 Mrs. Aisha Dahir-Umar is the Acting Director-General of the National Pension Commission (PenCom). Despite acclaimed achievements with the Contributory Pension Scheme (CPS), the industry is yet to capture the informal sector and the self-employed. In this interview with BANKOLE ORIMISAN, she speaks about plans to rev up CPS’ profile and enhance economic prosperity with new initiatives. What is the micro pension all about? The Pension Reform Act, Section 2(3), provides that employees of organisations that are less than three, as well as those that are self-employed, shall be entitled to participate in the CPS, in accordance with guidelines issued by the commission. But these categories of employees are yet to be covered by any pension scheme presently, due to the nature of their employment and therefore, the commission considered it necessary to develop the Micro Pension Plan to accommodate them. The Micro Pension Plan is an arrangement for the provision of pension to the self-employed and persons operating in the informal sector through the CPS. This means that traders, stylists, farmers, as well as self-employed professionals like accountants, architects, lawyers, artisans, among others, can contribute towards having pension after active years. Some features of the Micro Pension Plan include flexible registration and simplified registration process, as contributors can register with a PFA of their choice. Also, there is flexible modes and rates of contributions and flexible withdrawal of pension benefits. The commission is yet to roll out the plan because it wants to ensure that it provides a policy that would ensure that the needed flexibility in the system is put in place for these categories of persons; ensure contributors get optimal returns on investment; and the protection of their rights. The commission has released the draft guidelines and framework on the Micro Pension Plan to the Licensed Pension Operators and the various stakeholders. Feedback from the stakeholders and operators have been received, considered and incorporated. The final guidelines for the Micro Pension Plan(MPP) will be released as soon as they are approved. Meanwhile, the Commission is developing the required ICT infrastructure to drive the process and this is critical to the success of the plan. It is envisaged that before the year ends, the plan will commence. What are the challenges and constraints encountered in the Commission while carrying out its oversight function on the pension sector? The two major challenges in implementing the CPS bother on inadequate funding of retirement benefits and non-implementation of the new rate of pension contributions for federal employees. The portion of the Federal Government’s total wage bill- five per cent, being set aside for the settlement of accrued pension rights of its employees that migrated to the CPS from the Defined Benefits Scheme remains inadequate. Furthermore, there are delays in the release of funds into the Retirement Benefits Bond Redemption Fund (RBBRF) Account with the Central Bank of Nigeria by the Federal Government. Consequently, federal retirees are not being paid their retirement benefits promptly. In April, 2017, President approved the release of N54 billion for the payment of part of the outstanding accrued pension rights. There were also subsequent monthly releases of funds for the purpose. However, there still subsists outstanding payments for retirees from April 2017 to date. The rate of pension contribution was increased by Section 4(1) of the PRA 2014, from a minimum of 15 per cent, to a minimum of 18 per cent, comprising of eight per cent by the employee and 10 per cent by the employer. However, despite having come into effect since July 2014, these enhanced rates of pension contributions are yet to be implemented by the Federal Government for its employees. Pension contributions to GDP at five per cent is low compared to other countries, particularly, South Africa. How can this be improved upon? The CPS in Nigeria has facilitated a pool of pension funds, which have consistently accumulated to over N8.2 trillion. As you have rightly noted, there are enormous potentials for growth of Nigerian pension funds to account for a significant proportion of the GDP. Indeed, the commission’s ongoing strategy aims at attaining an increase in the ratio of pension funds to GDP to at least 10 per cent by 2019. The specific measures planned to achieve this include, firstly, the expansion of coverage of the CPS to the underserved economic sectors through the Micro Pension and renewed enforcement of compliance. Our objective in this direction is to attain at least 20 million contributors by 2019. Secondly, we seek to grow the assets through more investments in variable income instruments that generate higher returns. In order to achieve this, we have commenced implementation of the Multi-Fund Structure in July, 2018, which segregates the funds based on the risk profile of contributors and gives them an opportunity to choose subject to age parameters. Furthermore, the increase in contribution rates in the PRA 2014 from a total of 15 per cent to 18 per cent would also increase the size of pension funds when fully implemented for Treasury-Funded federal MDAs. The Commission has also intensified efforts at ensuring the payment of all outstanding pension liabilities including accrued pension rights and pension increases that are yet to be implemented. The transfer window plan, which offers contributors/retirees an opportunity to change to their choice PFAs, is yet to start. What has delayed it this long? The commission has developed the guidelines for the Retirement Savings Account (RSA) transfer. However, to operationalise the guidelines, a number of initiatives would have to be implemented to ensure successful implementation. The clean-up of the records and biometric identification of the existing contributors to remove multiple RSA registrations are essential. In addition, the necessary ICT infrastructure to drive the process is also being developed. These initiatives are now at an advanced stage of completion. It is envisaged that, all things being equal, the Transfer Window would become operational before the end of the year. Do you think the transfer window initiative will cause an improvement in the assessed poor customer service delivery in the industry? Yes, the availability of transfer window will go a long way in addressing the issue of poor service delivery in the pension industry. Contributors will have the liberty of moving from one PFA to another if they are not satisfied with the services being provided by their current PFAs. The transfer window will make the industry become very competitive, as the operators will come up with so many innovations to attract and retain customers in the market. The transfer window will no doubt, make the operators to improve their service and strive for excellence. How has the pension fund grown over the years? The CPS has consistently accumulated pension assets since inception. It is noteworthy that the value of pension fund assets has grown from N265 billion in 2006, which was the year of actual commencement of investment activities by the pension operators, to N8.23 trillion as of June 2018. As of June 2018, the total number of registered RSAs stood at 8.14 million too. Surely, these numbers will continue in upward trend. How are you addressing complaints about low payout under the CPS? Pension payment under the Contributory Pension Scheme (CPS) is dependent on the total RSA balance at retirement. The monthly pension is also a factor of the lump sum collected. If the lump sum is too large, the monthly pension is reduced appropriately. One can also boost the RSA balance by subscribing to voluntary contributions. This would allow contributors to make additional monthly contributions over and above the statutory rate of eight per cent. The employer may also wish to make additional contributions over and above the statutory 10 per cent for employees. Recently the commission introduced pension enhancement for retirees under the programmed withdrawal. This initiative, which took effect from December 2017, provides an opportunity for monthly pensions to be enhanced due to income generated by PFAs on the investment of the retiree assets. What is the objective of the new multi-fund structure and how would it affect the growth of pension fund? The new RSA Multi-Fund Structure involves the creation of multiple Retirement Savings Account (RSA) Funds, with respective assets allocation, made to fit into the different demographic (age) profiles and risk appetites of registered contributors- Young, Middle-age and Retirees. The new structure would ensure that contributions of RSA holder are invested in assets/securities with risks profile compatible with the person’s age. 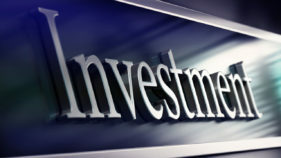 For instance, it is expected that young contributors, who have longer working years and relatively higher risk appetites, would desire more investments in variable income instruments (quoted equities, private equity, real estate and infrastructure fund/bonds). On the other hand, middle-aged contributors or retirees who are risk averse, would prefer fixed income investments, with more stable streams of income. Consequently, the implementation of the multi-fund structure will result to increased returns due to aggressive investments and ultimately growth of the pension funds. A major benefit of the introduction of the Multi-Fund Structure is that the contributions are invested in an optimal manner to achieve enhanced retirement benefits. For example, younger contributors may prefer a pension fund with a higher level of risk and expected returns, to increase the expected value of their pension at retirement, while older contributors or already retired, may prefer a low risk fund, to minimise the likelihood of a reduction in the value of their pension. What are you doing to tame the rising non-remittances by public and private sectors, which violate the pension Act? The commission has adopted the strategy of employing Recovery Agents to recover un-remitted contributions, including interest penalty for defaulting employers in the private sector. The activities of the Recovery Agents from inception, in 2012, to date, has led to the recovery of N14.38 billion, made up of N7.42 billion and N6.96 billion as pension contributions and interest penalty respectively. Recently, there was about N3 billion cut from provisions to offset backlog of pension benefits under by the National Assembly. What is your take? 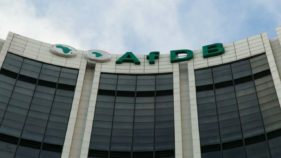 The effect of that budget cut will further compound the payment of outstanding accrued benefits due to retirees of the Treasury-Funded Ministries, Departments and Agencies (MDAs). As at today, there is an outstanding arrears for retirees from May 2017. The commission would continue to engage all the relevant stakeholders such as the National Assembly, the Presidency, Budget Office, as well as the Federal Ministry of Finance, to ensure that all the accrued rights and other pension liabilities are paid. We are also aware that efforts are being made to accommodate the outstanding liability in the supplementary budget, to bring succour to teeming federal retirees, who are currently waiting for the payment of their retirement benefits. Accrued rights is that part of the pension benefits due to employees, who were under any retirement scheme prior to the adoption of CPS. The outstanding amount for FGN employees has been communicated to the government and in previous times, what was appropriated was short of the amount advised. This is one of the reasons for the delay. But we are confident that money will be released to defray this liability. Last year, N54 billion was released when there was some intervention by the Federal Government. My appeal for retirees is to bear with us. These are liabilities from the government and government is trying. As mentioned earlier, we are engaging all the relevant stakeholders. Government has the will and it has been shown by the release of the N54 billion. Definitely, we are hopeful that as we mount pressure and there is good intention as already demonstrated, this liability will be cleared soon. About 25 State Governments are yet to implement the CPS, creating some form of disarray. What is your enforcement strategy? You would recall that the Pension Reform Act 2004, did not initially mandate states and local governments to adopt CPS. However, with its re-enactment in 2014, they were mandated to adopt the CPS. Accordingly, the commission had relentlessly pursued the engagement of states between March 2016 and July 2017, and had engaged key government officials and labour unions in all the states. As a result, 26 states and the FCT have made significant efforts towards implementation of the CPS and nine states are currently at the bill stage of implementation, while only one has not taken any significant step in this direction. It is, however, imperative to point out that, many of the critical stakeholders at the states are yet to fully grasp the tenets of the CPS and how state governments can achieve full compliance. It is also worthy to note that individual states are developing, at varying phases, based on the resources available to them. However, we are of the view that the CPS would be fully implemented in all the states once there is the necessary political will from the governors. What are your future plans to help the industry grow better? In addition to the various measures at growing the size of pension fund assets highlighted above, the commission is leading efforts at attaining excellence in service delivery in the pension industry. The industry is already leveraging on information technology to deliver better services to the contributors and retirees. 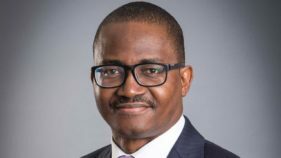 The Pension Fund Administrators have been expanding their branch networks to ease customer interface, while the Commission has been operating its Zonal Offices in each of the six geo-political Zones of the country. We are also intensifying efforts at ensuring the adoption and implementation of the CPS by all the States in the Federation. Other measures include a wider public enlightenment and education of the CPS in order to attract a wider participation.